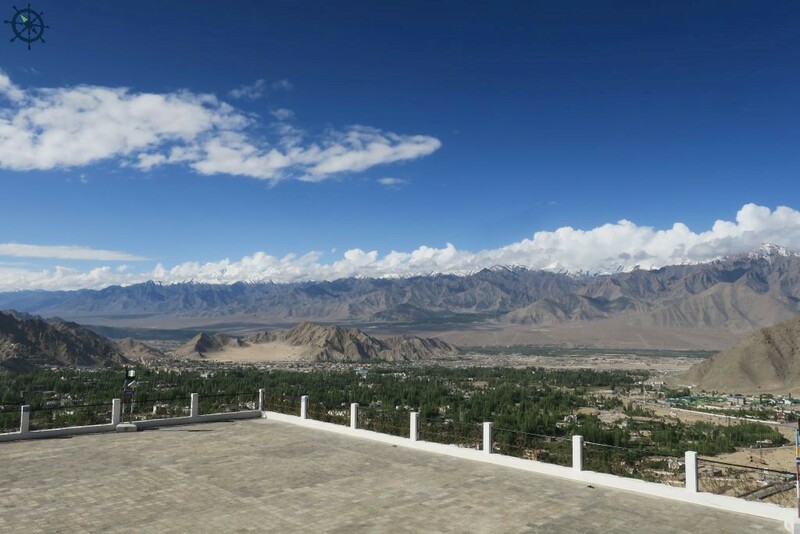 A Ladakhi elderly said the mountains that surround the city of Leh, are like a protective wall, a fortress that makes him feel safe and when he travelled to the plains he felt a little vulnerable with the extending blue skies and horizons. When we, the people from plains travel to the high-altitude cold-desert town of Leh at 3500m, we feel at first a breathtaking awe, later a little intimidating and after a while, we resonate the same feeling as our Ladakhi ‘Accho’. But one thing that isn’t common is our susceptibility to falling ill due to AMS (Acute Mountain Sickness). One way to avoid is to acclimatize over the drive from Manali to Leh that goes over many high passes but if you have flown in then acclimatization has to be of priority before you start of any strenuous physical activity. Yes, Diamox could help you but one can easily avoid it too. To enjoy your stay and to be physically fit for the upcoming trek, one has to acclimatize well, that means resting and being well hydrated. 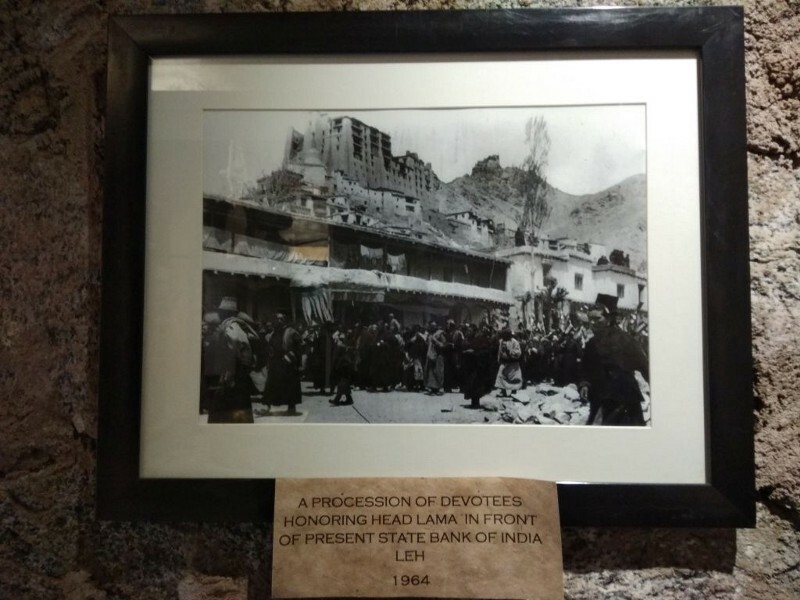 After the first evening of mandatory ‘do-nothing’, one could start the second day being on foot discovering the city of Leh and climbing the stairs to Shanti-Stupa or Tsemo Castle isn’t a second-day activity. Leh has a vibrancy to itself, the main bazaar street and its many food joints are a good way to get introduced to the city. 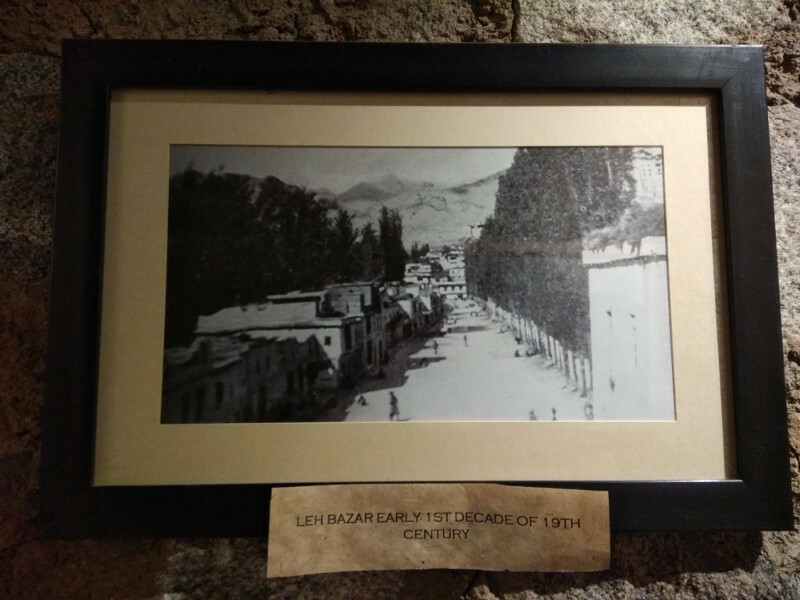 If you are like me and want to see the character of a place, to feel its story as you walk its street then, there are a few ‘things’ to do in Leh and taste the essence of the city as a local. Morning- for breakfast, step out to Balkhang Chowk — its a turn down the street from the main bazaar and any side alley would lead to Balkhang, the street is abuzz with people ready to go places and grabbing their breakfast. 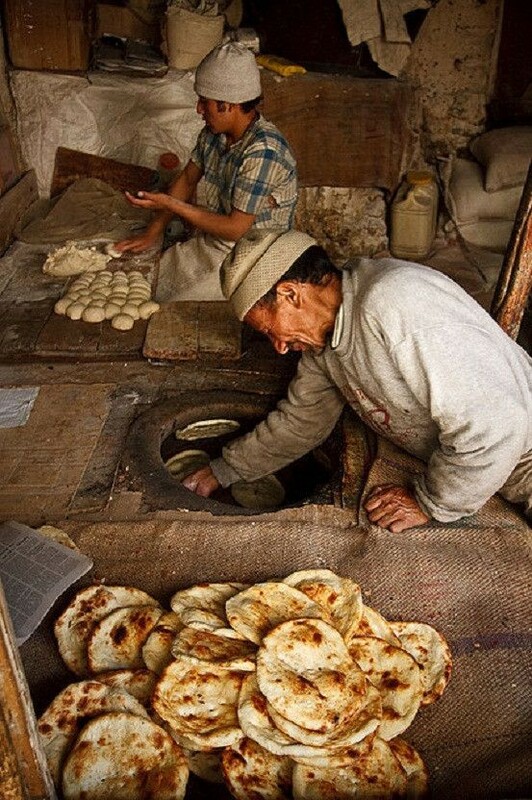 The main “baker street” is the alley up the ‘Gurudwara Datun Sahib Ji”, many Kashmiri and Ladakhi bakers can be seen tossing up batches of ‘Kulcha’ (sesame lined hard tea biscuits) and ‘Tagi’ — A Kashmiri artisan bread — a tandoor style roti made of refined wheat flour, salt and generous portions of ghee and patted on top with milk for that well-baked brownness. ‘Tagi’ with oodles of butter and meetha (sweet) or namkeen (salty) chai (tea) with a side of an omelette makes for a hearty breakfast. A well baked ‘Tagi’ is crispy on the outside and soft and spongy as we chew. 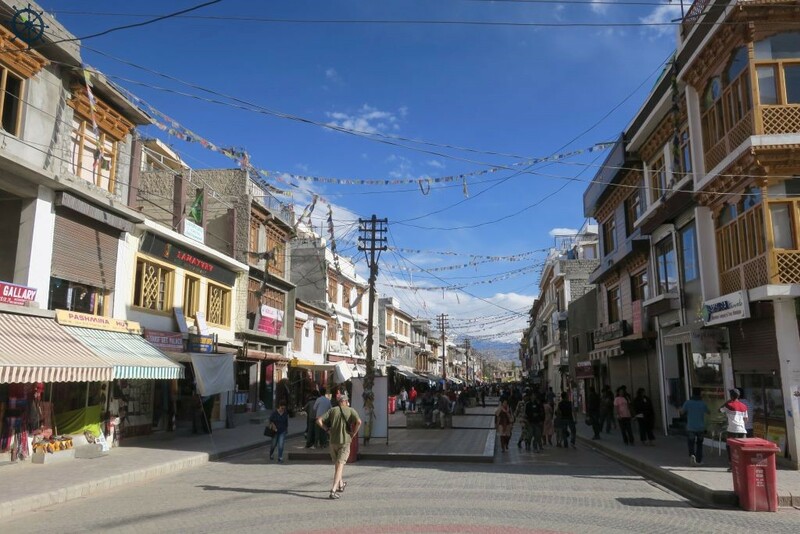 A key to acclimatize well is to walk ‘Kule-Kule’ (slowly) at a relaxed pace and walk back to the main bazaar. The bazaar comes alive only late morning and we could reserve bazaar street shopping after lunch, you’d need that kinda energy to walk and haggle with the shop owners. 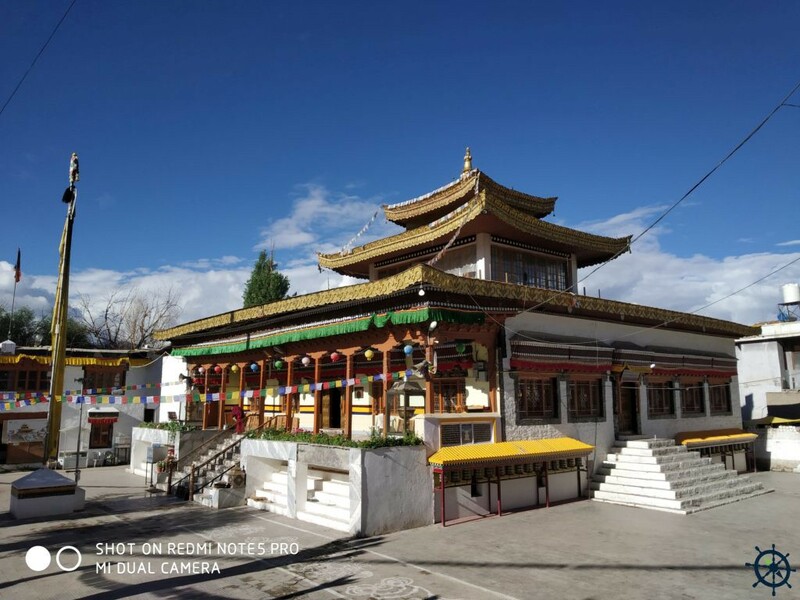 Another key place of interest in Leh is the Cho Khang temple on the short leg of the bazaar street. 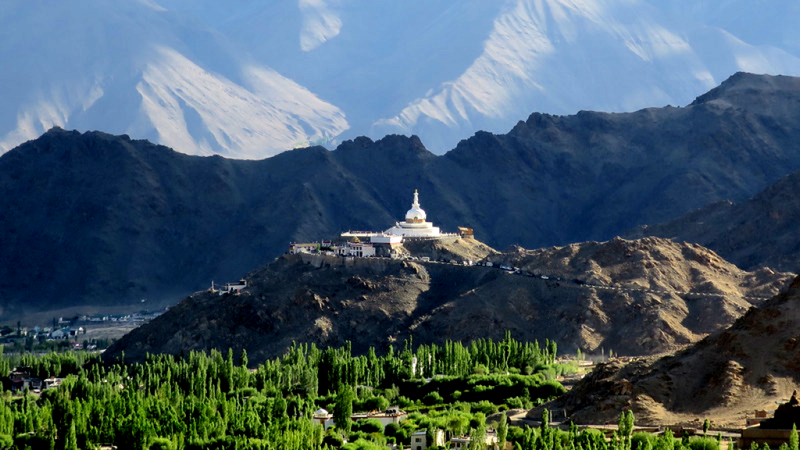 Cho Khang was built in the early 80’s and is the headquarters of the Ladakh Buddhist Association. When HH The Dalai Lama visited Ladakh in July, Cho Khang played host to his visit. Chokhang is also called Gonpa Soma or new monastery in local Language. 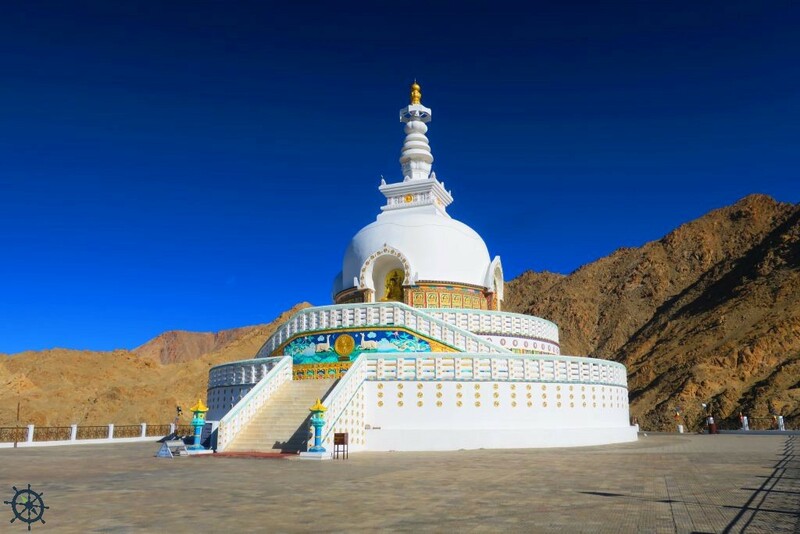 It is relatively new as it was constructed in the 50s and is the most important Buddhist site in contemporary Ladakh. The main monastery houses a statue of Jowo Rinpoche or Shakyamuni Buddha, much like Jokhang temple in Lhasa, Tibet. Stepping into the monastery shuts out all the hustle and bustle of the bazaar street and with prayer sounds reverberating in the courtyard, a compelling stillness is felt within its premises. As is always, its the old quarters of a town where the character can be found, in the side alleys of the old town are the old timers who welcome you with a Julley and no hustle. 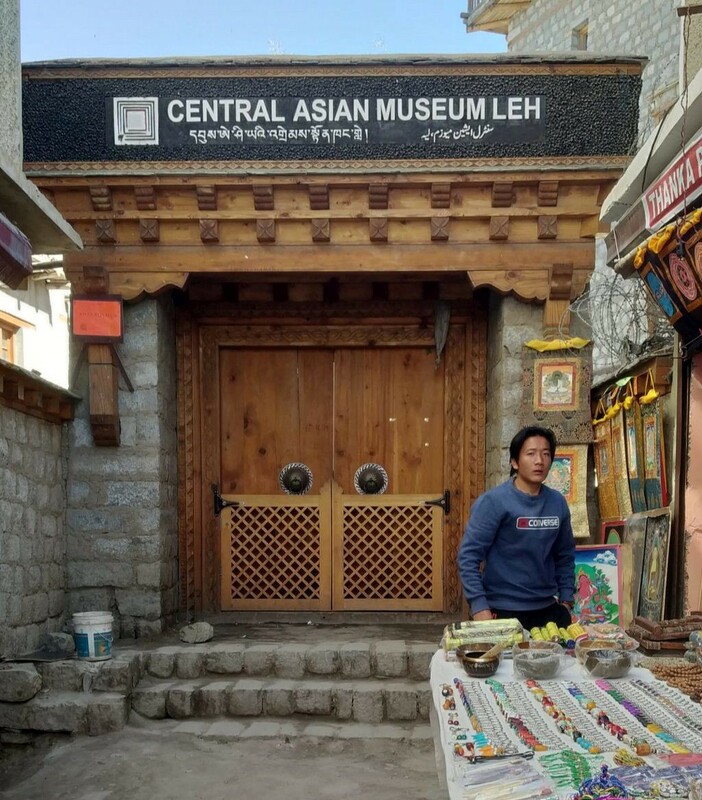 Amongst the paneer walas selling fresh curds and cottage cheese, the launders and dyers, the trinkets and crystals that line the street is the entrance to the ‘Central-Asian Museum’. Don’t go ‘Not another Museum- we have come here for adventure!’, if unlike many, you have not done your homework on the city, the museum gives a great fly through introduction. 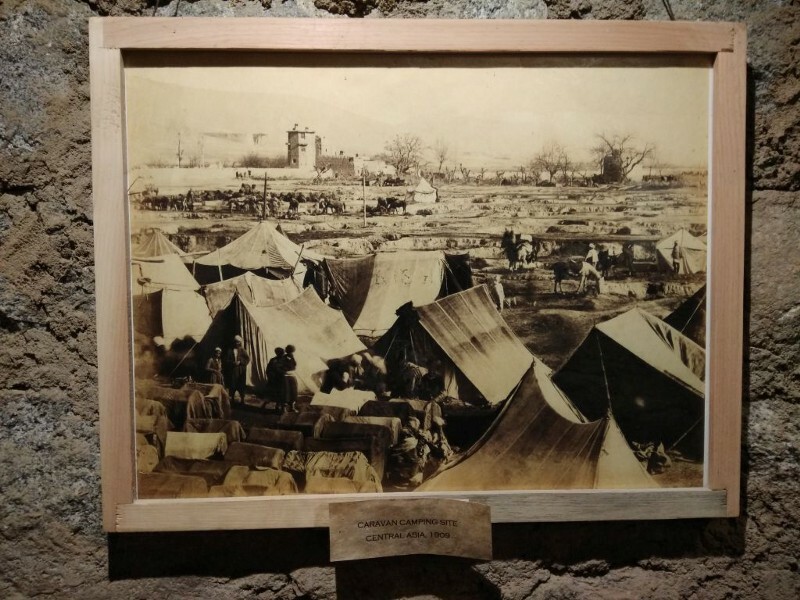 The monochromatic images of city streets in the early 19th century and post-independence years, show the marketplace with traders pitching up the tents, women in Perak waiting to sell or buy goods. It was the hub for trade and a melting pot of culture and ideas with traders coming in from Yarkhand, Tibet etc. The photos give a glimpse of how borders and boundaries don’t just divide but leave a functioning and well thriving metropolis — isolated. Ascending the flight of few stairs takes you through more exhibits of a Ladakhi-life-robes, wares and weapons etc before exiting through a fort style drawbridge. The last floor balcony brings to you the view of terrace-tops of the city, a mid-level view that will be much more enthralling and engaging from town’s various other vantage-view points. If the timing works right, you could hear the prayers from the mosque and the monastery resounding in the air — a testament to the cordial co-existence of the two religions. After exiting the museum, there is also a Ladakhi- style show-kitchen within the same grounds. The kitchen is the main living space in a Ladakhi household. A space to show off their bridal gifts of brass pots and fine china. And well, with the belly not rumbling (AMS symptom — loss of appetite), a look at the watch makes you start thinking of lunch and the probable place to have it. Head on straight to the other end of bazaar street and in the corner is the ‘Wazwan Planet’- yes! as the name goes it is Kashmiri style wazwan restaurant that also serves some delectable vegetarian food. The first item of order should be the Kashmiri Qahwa — the sweet yellow hot tea with aromatic spices and dry fruits suspended in it is a drink from heaven. The drink just warms up your heart and whets your appetite for the main course. (heads up — nothing about the qahwa is instant and it takes a while to be made, so suggest to order it first and then decide on the food order). 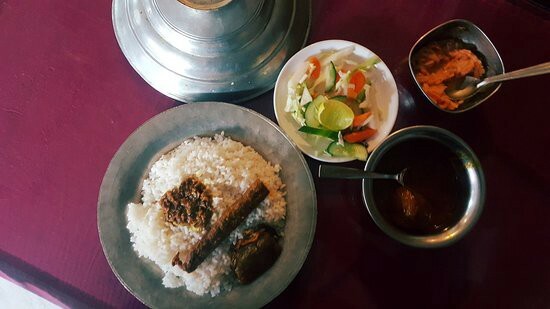 When its Kashmiri Wazwan — Rogan Gosh with a side of rice or naan is most popular and a standard order. Trust me when I say mutton in the mountains is just Yum! so juicy, tender and the flavour profile is deep. The vegetarians are not going be disappointed, their Kashmiri Pulav and paneer mutter masala have the same level of depth in flavour. After that scrumptious meal, it only makes sense to walk it off (slowly of course) by either window or actual shopping in the main bazaar. 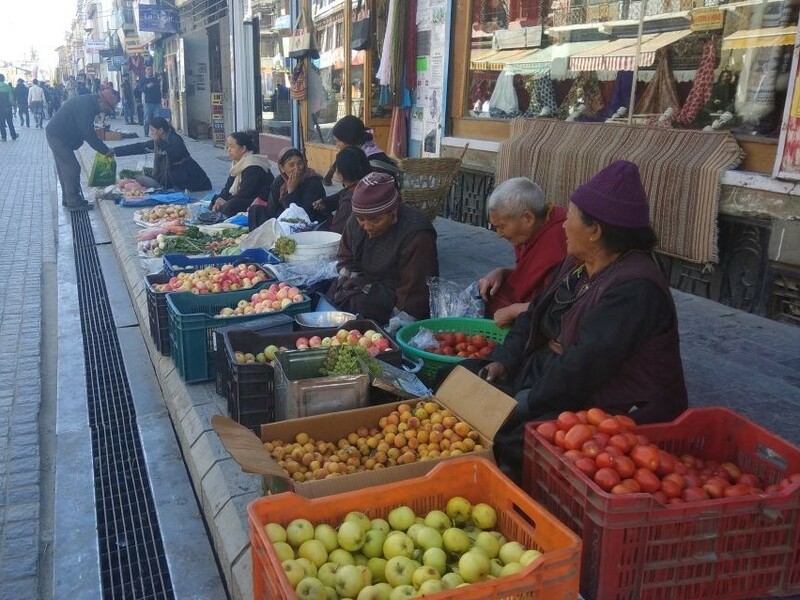 The walkways are lined with women in traditional ‘Goncha’ selling fresh vegetables, dry fruits, apricots and apples — it’s a colourful market scene. The entire street is lined with shops selling antiques to carpets, pashmina and woollens and all Buddhist gift items too — the prayer flags and mani wheels. With a bit of street savviness and a lot of haggling, you could finish your souvenir shopping. The Leh Ling Bookshop and coffee house is good for a cuppa coffee to sit back and relax. Although you might not want to visit a cafe on the second day, this is a good hangout for some hot beverage in the evening after an arduous trek or long drive back from Pangong Tso. Yes, this is a cafe too, but not the one that reminds you of your city. 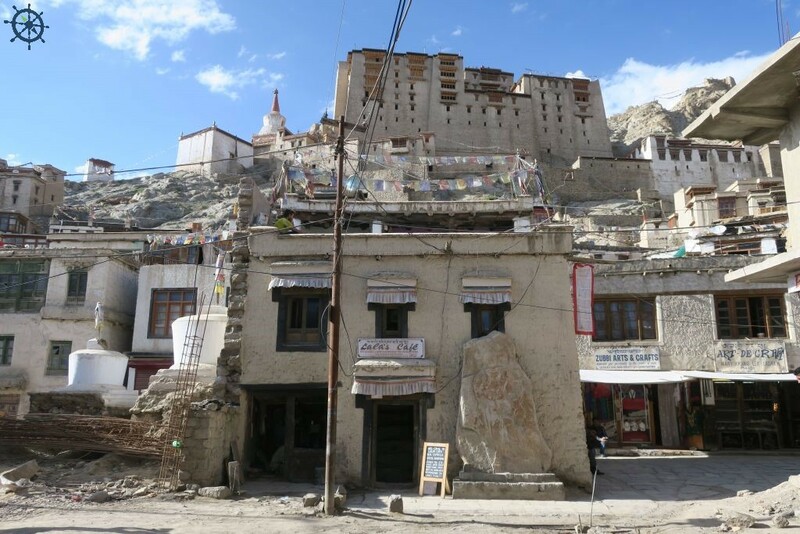 This is a traditional Ladakhi house restored by the efforts of LOTI (Leh Old Town Initiative) and THF (Tibetan Heritage Fund). It was called the Sankar house — the monk of the Sankar monastery lived there, but now its also called the ‘Heritage House’. It serves as the entry point to the old town and for the ‘Heritage walk’. It houses a permanent exhibit area for the THF/LOTI ‘s ongoing conservation project and has a small nook for brewing coffee. The coffee cake and ginger-lemon-honey-mint tea go well with little banter. To end the day on a high place (pun intended) head to Shanti Stupa for a glorious sunset and a panoramic view of the entire city and beyond. The Stupa was built to commemorate 2500 years of Buddhism and to promote Peace. The highlight of this White Stupa isn’t its religious significance, but it is for the view that it affords. There are about 150+ steps to the top from Changspa road, but as I mentioned earlier, not a second-day activity. But, you could hire a taxi and drive up to Stupa. Although the day seems long, you could always pick and choose between them. If you have been fine all day and had enough fluid intake, then from Day 3 onwards you should be able to stick to your travel plans. Coz, everywhere else you’d travel it will be mostly at an altitude more than Leh. Nothing spoils a travel plan like bad health. Originally published at adventuresindbad.com on June 21, 2018. Adventure Sindbad offers premium small group adventures across the Himalaya. Adventures are handpicked, curated, personalized and managed end to end.